These high-performance, high-output oil pump assemblies will help protect the life of your muscle car engine, providing a 25% increase in oil volume over stock pumps. 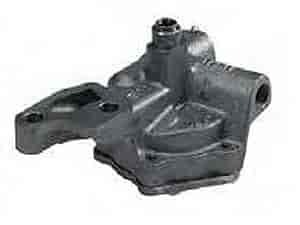 Pumps come fully assembled for easy installation. JEGS Easy Kits are designed by the professionals at JEGS to help you get all the performance parts you need. High-Volume Oil Pump Kits include: Fram Race Oil Filter, Mopar Performance High-Volume Oil Pump, and Mopar Performance Hardened Tip Oil Pump/Distributor Driveshaft. P4286589 is rated 5.0 out of 5 by 1. Rated 5 out of 5 by Pyro from Good stuff! Looks and attaches exactly as original. Easy install. 10 lbs of pressure increase. Well worth the piece of mind. This will fit through the 1991 engine.